While I did not take advantage on the long side, I was, nevertheless, free of all short positions with the eight-bagger on Goldman Sachs put options booked and in the bank. 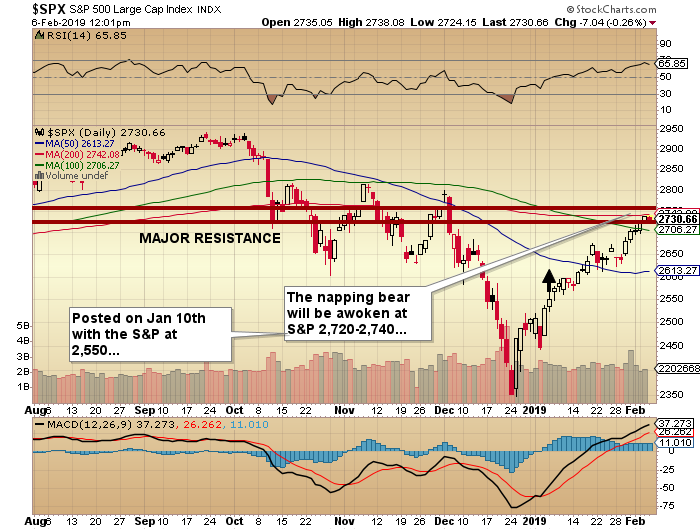 I further elaborated on the rally on Jan. 10, with the predictions that “the napping bear will be awoken at S&P 2,7202,740.” In this post-SOTU trading session, the S&P touched an intra-day high of 2,738.08, which represented the upper end of the 2,7202,740 range mentioned back in January. 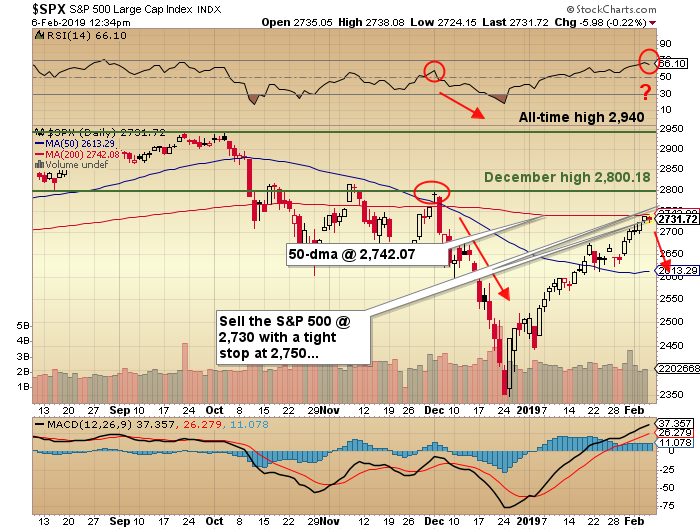 So, with RSI now approachingbut not yet above the overbought 70 level, I am going to take the RSI, the 50-dma at 2,742, and the percentage lift off the Dec. 24 lows as a completion of the Powell/Mnuchin-fueled relied rally. Taking one look today at the HUI, ahead 0.3% on a day that has gold down $3 per ounce and silver off $0.10, gives me great agitation and anxiety and a ominous dread that I may miss a $50-100/ounce overnight move in gold, and the associated $30-bagger on the calls. 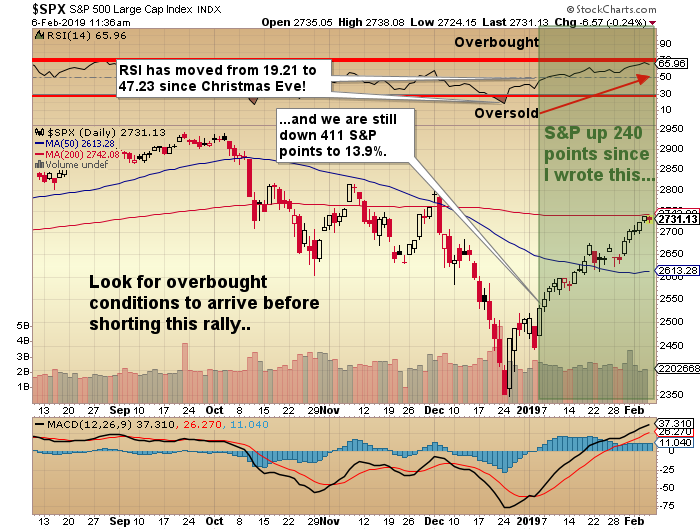 I view gold stocks and their performance on a relative basis as critical to any sustained advance in the precious metals because the miners are the ultimate barometer of investor sentiment.